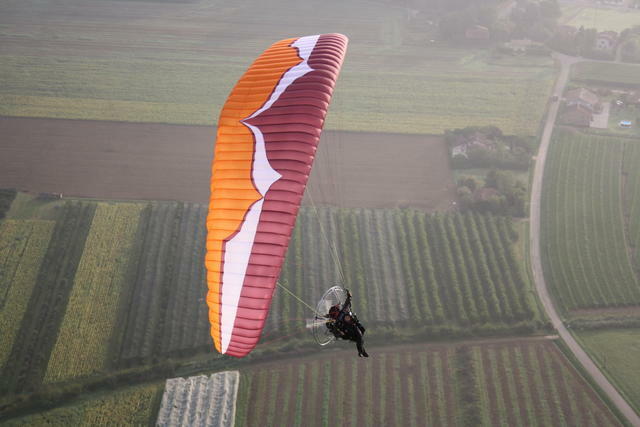 The Speedster is an all new full reflex Paramotor Wing developed with BBHPP and R10 technology. The development of the Speedster was guided by feedback from paramotor pilots all over the world – feedback from you. It seems that you want what we want – a very fast, stable wing that retains a good level of agility and passive safety. The Speedster’s evolution took time, and a large number of prototypes. As the BBHPP and R10 projects progressed so did the Speedster. The final result is, we think, an exciting new wing for PPG pilots from intermediate to expert ability. The Speedster is the easiest fully reflexed wing that we have ever launched. Leading edge reinforcements in the style of the BBHPP and R10 maintain the structure of the leading edge during the launch process, aiding inflation and causing the wing to come up in a compact and coordinated configuration. The Speedster inflates evenly and with little effort in no wind conditions, and comes up steadily in high wind conditions as well. At Ozone, handling is a top priority for us in every wing that we design, from our most basic school wing to our highest performance competition wing. Handling is not just for fun, it’s a safety issue as well. 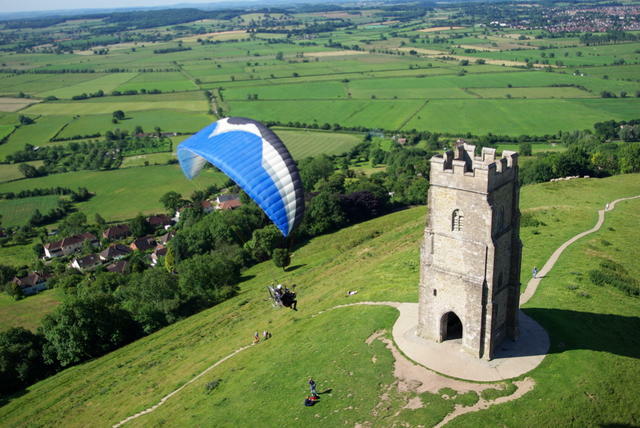 Many paramotor wings are designed to exploit the byproducts of a reflex design, and as a result can be sluggish and unresponsive, or prone to asymmetric stall. Thousands of hours of testing and refinement have resulted in the Speedster’s agile and responsive handling. Handling is safety: when flying in groups, near terrain, or while maneuvering close to the ground, it is crucial that your wing responds quickly and easily while providing usable feedback to the pilot. It is possible to use the Speedster’s accelerator system in combination with the trimmer system, too. This configuration puts the Speedster profile into a very low angle of attack for high speed flight and should, of course, only be used in extremely calm conditions. As with any PPG wing, for the safest flight configuration the speed bar should be used primarily, followed by the trimmers. However, experienced pilots can fly the Speedster safely in whatever configuration they prefer. The Ozone PPG Tip Steering system allows you to control your wing in an accelerated position safely and effectively, without the use of brakes. Using brakes in highly accelerated positions is not ideal as it can counteract the reflex action in the wing and reduce the stability of the profile. The Speedster’s tip steering system is simple, efficient, and easy to use. A clean and convenient ‘closed’ steering system for the brakes and tip steering keeps your controls organized as you switch between them in flight and during launch and landing. It has taken us some time, but we think we now have something that you’re going to like. 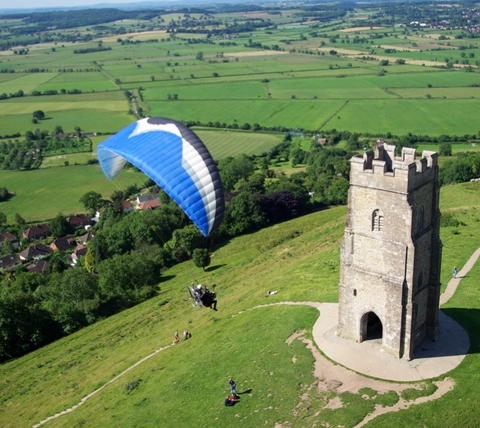 Our testing suggests that this new wing is a real pleasure to fly, with a surprisingly high top speed and a general ease of use that will appeal to paramotor pilots of intermediate to advanced ability. In the wake of the Speedster’s success, we have received a lot of demand from experienced PPG pilots for a smaller sized version of this successful wing. The new 19m Speedster has EN load test certification (no flight tests) and delivers even more speed and agility than the larger sizes. The 19m Speedster is meant for experienced PPG pilots who are looking for a quick, agile wing with a high top speed. The 19m size retains all of the positive launch and handling characteristics of the larger sizes, with good comfort and stability in flight.